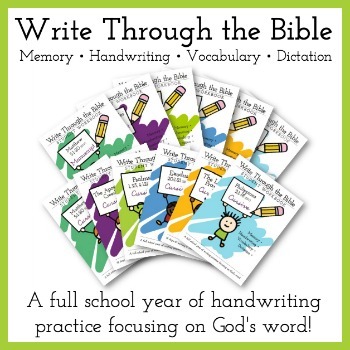 Welcome back to another Teaching Handwriting in Your Homeschool post! Last week we looked at teaching handwriting to preschoolers. 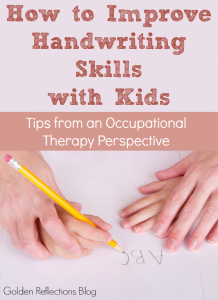 This week we will tackle teaching handwriting to your kindergarten age child! In case you missed it, I was part of the iHomeschool Network iHomeschool Hangout last week on teaching handwriting in your homeschool! You can watch the video below to see what all we talked about. Many of the points in this post are mentioned in the video! You can also pin this post so you can come back to it later. I share a lot of information so feel free to come back to it as many times as you need to. Kindergarten age is typically 5-6 year olds. This age is typically when I like to really start pushing proper letter formation and the beginning of short sentences (3-4 words in length). Remember the pre-writing lines that we talked about last week? Well now we are going to take those pre-writing lines and begin forming letters with them! If your child does not have good pre-writing line formations, then I suggest you start there before teaching actual letter formation. Strong pre-writing skills equal strong letter formation skills later on! 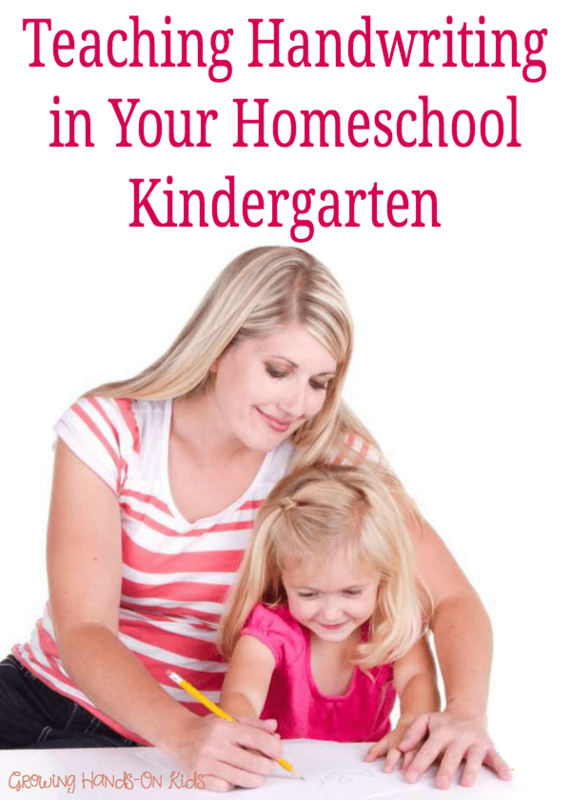 Here are a couple of great resources for you if you need a starting place for pre-writing lines and getting your child ready for Kindergarten. The main thing to remember when teaching letter formation is that ALL letters start at the top and from left to right. Same as when we read, starting at the top, and working from left to right. One of my favorite resources for teaching proper letter formation is Handwriting Without Tears. I took their preschool training a while ago, but their KG curriculum is also excellent! Whenever I taught letter formation at work, I always used the Handwriting Without Tears protocol. HWT gives you specific language to use when forming each letter. This goes along with the phrases I use in my preschool ebook Basic Shapes for Beginners. Using the same phrases when you teach letter formations is so important. It helps your child to associate that letter with the proper formations! It is definitely a good idea to start with capital letters first and then move on to lower case letters. Capital letters use all the pre-writing lines that kids learn first and so that will be easier for them to learn. Once they have mastered capital letters you can move to lower case. Also teaching children how to write their names is definitely the first thing you want to focus on when learning how to print letters. I would even teach it in all capitals to start out with. Then move on to lower case letters for their name, and then all other lower case letters. Remember that children age 5-6 are still in the phase of learning where they do more learning through their hands than their eyes. Yes, they will need to practice actual letter formations with pencil and paper, but it is important to mix in all kinds of sensory experiences for them when learning how to form letters. There are two types of hand grasp that are considered efficient for handwriting: tripod (3 finger grasp) and quadruped (4 finger grasp). 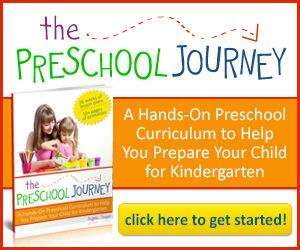 Hand grasp is something that most preschoolers should have mastered by age 4. However, if your child is hitting kindergarten and does not have a good pencil grasp, this is something you need to focus on now. The longer a child uses an incorrect grasp on their pencils, the harder the habit is to break. Hand dominance is also something that most children have decided on by age 4. If your child tends to use both hands for writing, take a look and see which hand they typically start an activity with. If it is their right hand, then they need to use that hand for the entire activity. If it is their left hand, then the same thing. When you allow your child to switch hands throughout a writing activity, this does two things. It does not force them into choosing a dominate hand and it also can signal that their fine motor strength in that hand is not strong enough. If you notice that your child is switching hands a lot during writing activities, then focusing on fine motor strengthening activities is important. In particular ones that mimic the proper way to hold a pencil. Using fine motor tweezers or tongs in fine motor activities would be a great activity to focus on. Use small stickers on your child's pencil, giving them a visual reminder of where to put their fingers on the pencil. Tell your child to use their “Go” fingers (thumb, pointer and middle finger) for writing and keep their “Stop” fingers (ring and pinkie finger in their palm. For more fine motor activity ideas check out my subscriber freebie, 50 Fine Motor Activity Ideas for Children Ages 3-6. When children are just learning how to write, the main focus should be on letter formation. Once they have the proper formations mastered, you can begin to refine those with proper letter size, spacing between letters and words, and line orientation (where the letters are placed on the paper). Some great ways to work on letter sizing is to use highlighted paper. This gives your child a visual of where to place the letters within the lines. Proper spacing between words and letters is also an important skill. You can use popsicle sticks as a visual between words or just have your child place their index finger and middle finger of their non-dominate hand after each word. You can also purchase plastic finger spacers, I have used these many times successfully with students. Letter reversals (particularly with “d” and “b”) are common at this age. Actually letter reversals are a typical thing you will notice until about 1st grade. Continue to model the proper formations for each letter. Children can also benefit from doing activities or games that use directional words such as “left” or “right”. The most common letter reversals are “d” and “b”. Use this verbiage talking about each letter. Capital D – Big line down, big curve to the right Lowercase d – big line down, little curve to the left Capital B – Big line down, one little curve to the right, two little curves to the right Lowercase b – Big line down, little curve to the right Lowercase “p” and “q” are probably the next most common letter reversals. Use the same verbiage that I gave above to talk about how to form each of those letters as well. 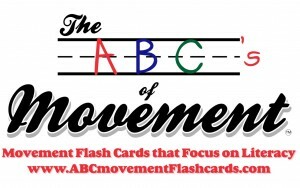 A great way to give children a break but still focus on teaching them handwriting is using the ABC's of Movement Flashcards. Laurie Gombash is a PT and she designed these cards to include movement, letter recognition, and language skills! They are an excellent resource, that I highly recommend! You can read my review and also see a video demonstration of how they work. Also another great idea for giving your child a break is using The Ultimate Guide to Brain Breaks! You can read my review of them as well. These are excellent movement break activities that work on core strengthening, bilateral coordination (using both sides of the body together) which are both skills needed for handwriting! I have a page here on the blog with links to all of the handwriting posts I have written that can be very helpful. If you have any questions that I did not address, please let me know in the comments below. I will be adding more information as I find it and will definitely address further questions in other posts. I would love to hear from you.